Susan Willey Spalt lives in Carrboro, North Carolina. She retired several years ago after a long career in School Health specializing in trying to get people of all ages to do things they did not really want to do. 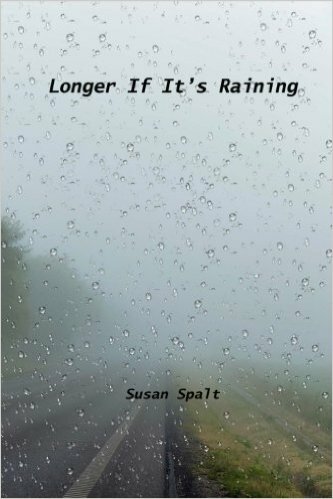 Susan has written and loved poetry for much of her life. Her poems reflect her belief that poetry is not only for esoteric journals—but is part of everyday life. Her poetry has appeared in some unexpected places. She rhymed the school district’s lice policy, and one of her poems was set to music to celebrate Carrboro’s 100th anniversary. Her poems have also appeared in numerous anthologies, including Annapurna, 2015 and Disorder, 2014, Red Dashboard Press and in Pinesong, published by the NC Poetry Society. Susan is one of four poets in Carrboro Poetica, a collection of poems published by Old Mountain Press in 2012. Susan is a charter member of the Carrboro Poets Council which organizes and manages Carrboro’s West End Poetry Festival. She is married to Allen Spalt and has two grown children and one grandson.